What was old cv like? / What was old cv like? RE: What was old cv like? I also see Wally was just a nubmod too and Sae was a smod, WOW. They sure have come a long way since then, cause I would say this pic was taken about 2 to 2 and a half years back. (11-29-2018 06:02 PM)Monikorpse Wrote: But back to the important matter here! A question was asked and the old lady is here to answer. I joined during CV Map 3, nearish the end of it. For reference, I believe Map 3 started around March of 2012, it ended in April of 2013. So I was a Citizen for all of my time on Map 3. I can’t find my screenshots from 3 right now, so maybe I can revisit this thread later (if I can get the map download to work). 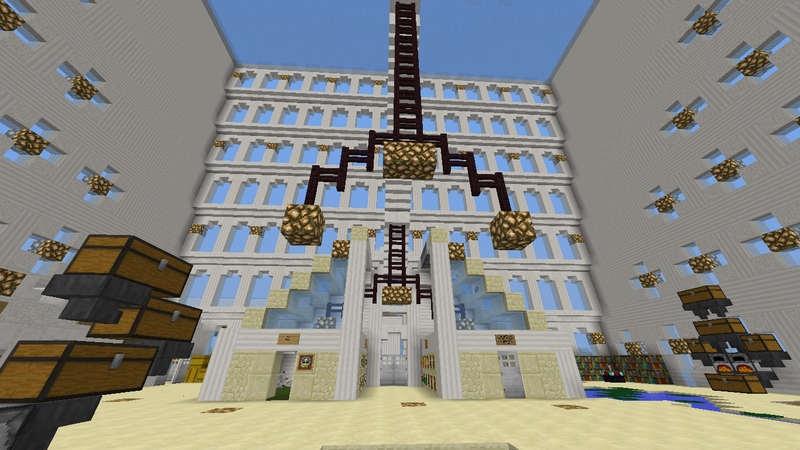 Cubeville Map 4 launched on April 12, 2013. There are a lot of similarities between the CVCs of Map 4 and Map 6. 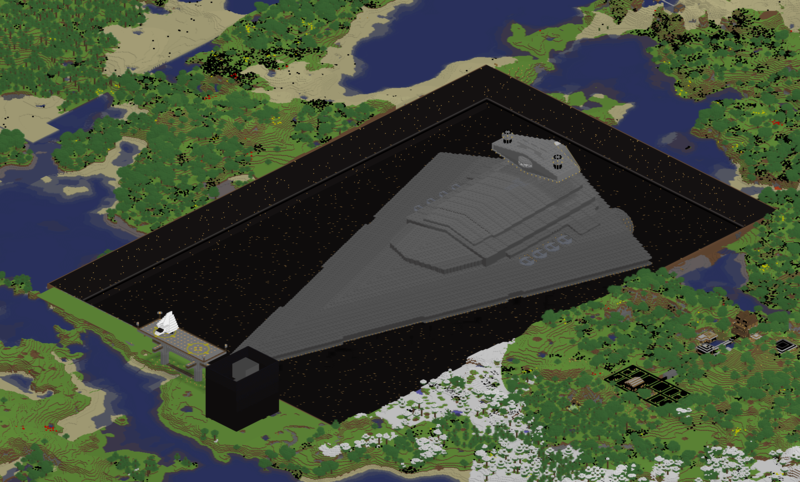 For instance, /spawn was located in the middle of CVC much like it is today. Even the view at /spawn should seem familiar with all the staff heads denoting which staff member is which rank. We had a flea market near /spawn where players could purchase chests to sell an item. These look similarly to how they do today too! 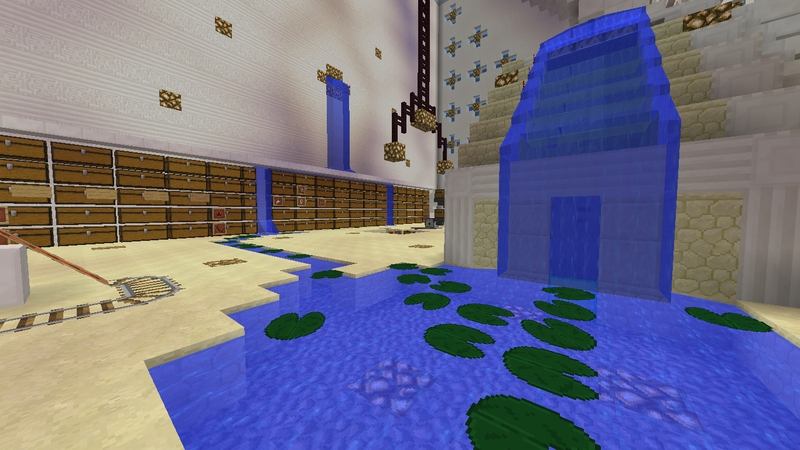 The classic Cubeville sign and directional markers at /spawn were also there. The Staff HQ building stood tall (REALLY TALL) during CVC 4 as well…. It has shrinked in size a bit over the years, but still holds just as many staff members’ offices. Carls Jr was there too, of course. But, there are also a lot of differences between the CVCs of Map 4 and 6. As an example: There were no Farm Lands on CV 4! We had tree farms, a melon farm, and an ice farm -- all of which were located inside of CVC. There were was no Quest world on CV 4. Instead, people came to this little hut in CVC to pick up small quests which didn’t give perk rewards. CVC used to be A LOT bigger, with many more plots for people to buy. Unfortunately, this meant we had a bunch of empty, unused plots. There used to be a large theme-park right outside of CVC! It was called Kio Land and was built primarily (or entirely) by an Admin called nwb. There was also a big airport, CV International, which connected to CVC. And lastly, there didn’t used to be highways on Map 4…. We had Sky-ways. Here is a picture of the one nearest the airport. Cubeville Map 4 ended and Map 5 launched on February 22, 2015. I have loads of other pictures from Map 4 and from Map 5 as well if you are curious about what certain places looked like. CV has been a fun ride these past 6 years. One can not forget the Avenger. Yeah The sewers and Power plant in Map 3 (we are talking about the 2 Nuclear plants 1 and 2 here right?). For example, in map 5 we had less players than we do now, so there was more unclaimed wilderness. Whereas in map 6 i find it challenging to find a place that isn't regioned. However, I do like how you can just walk in the portal, and you dont have to find the button. I remember how I would only use hub during the day, because at night it would become very dark, and i couldn't see any of the buttons. Please don't eat me! I may sound yummy, but trust me, WallyDonkey tastes better. Nubs are the source of everything. Everyone is a nub. Map 5 was also fun, I built my favorite house ever in Dragonvale II (I have no screenshots unfortunately but it was 2 stories, made of granite, andesite, etc, very open-air and modern). My friends had started to leave but I still recognized a lot of people when I logged on. I left before the Map 6, have just logged on for the first time in at least a year. I hardly recognize anyone online except Tis and some of the staff. I miss maps 4 and 5 and my old friends so much but I know times change and people grow up (I know I have grown so much since when I was active here, lol). 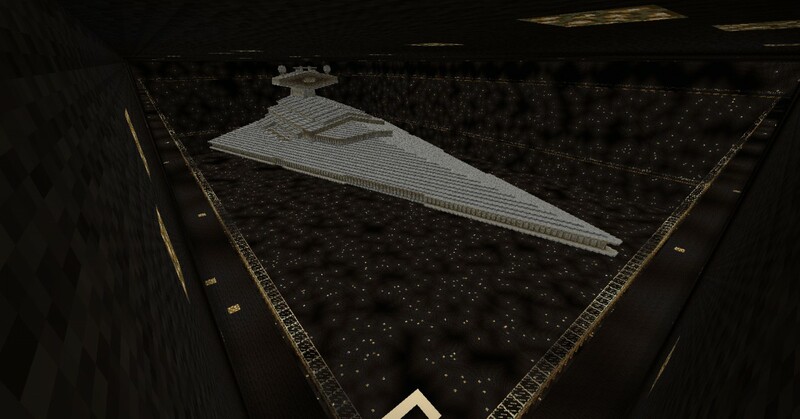 I don't know if I'll ever come back to Minecraft but I'll never forget the fun "Old CV" brought into my life. (Also my signature is the iconic sign and CVC skyline of Map 4). I can see my map 4 shop too in that CV pic.. the redstone, cyan and purple just behind the C. OMG I can see the ICE (behind 'U'), SAND (behind 'L') farms and the top of the CARL's JR star in front of the ice. Way on the left is Kioland. Lol, I remember u visited my Map 4 house once; also I downloaded map 5 and saw all the stuff PJ left in my mailbox and the chest you put in my house of all his gifts.. oops lol. In the pic u can also see Mol’s tower (X’s next to the QR code) where the basement was my base at one point, and my plot was to the left of that, though I never built much on it.